John S. McDonald was born in Dundas County, Ontario, on February 8, 1865. When he was about two years old, his family moved to a farm near Thamesville, Ontario. He attended school at Ridgetown, Ontario, and in 1887 attended Victoria University in Coburg. After teaching school for a short time in Florence, Ontario, he came to Grand Rapids, Michigan, where he continued teaching for two years in Seymour School. His earnings enabled him to enter the University of Michigan Law School, but at the end of one year he returned to Grand Rapids and entered the law offices of Eggleston & McBride, where he completed his law studies and was admitted to the Bar. In June of 1924, the Board of Regents of the University of Michigan conferred on him an honorary degree of Doctor of Laws as of the class of 1891. In the fall of 1906, he was elected Prosecuting Attorney of Kent County, serving until March 1908, when Governor Fred Warner appointed him Circuit Judge of Kent County to fill a vacancy caused by the death of Judge Alfred Wolcott. He filled this office until March of 1922, when Governor Alex J. Groesbeck appointed him a justice of the Michigan Supreme Court. 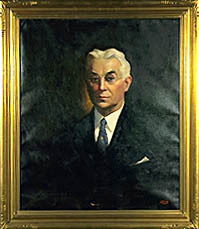 He was later elected and re-elected and served until January 1, 1934, when he returned to private practice in Grand Rapids in partnership with his son John Duncan McDonald, under the firm name of McDonald & McDonald. In 1939, he was appointed Chief Counsel for the State of Michigan in the Grand Trunk Railroad litigation. He rounded out a distinguished legal career when he tried the Grand Trunk tax cases in the United States District Court for the Eastern District of Michigan. In that litigation he won a brilliant victory for the State, securing a payment of back taxes in excess of $1,000,000 and establishing a legal method by which the State Tax Commission might properly compute the valuation of railroad properties. In addition to his judicial and legal career, McDonald served with distinction as the Chairman of the State Liquor Control Commission following the repeal of Prohibition.